No matter the distance, being travel-ready is the most prominent way of removing much of what some would consider a hassle. You might ask, what’s the main rival to creating your travel strategy? 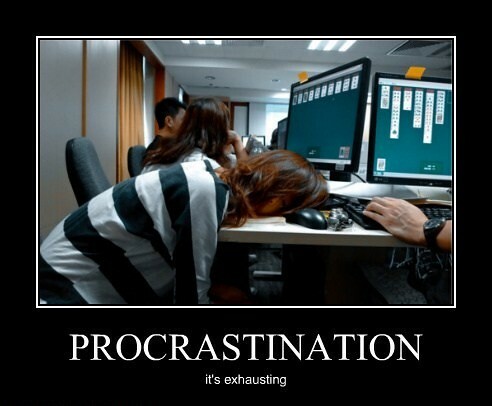 It can, without a doubt, be considered procrastination. There’s nothing wrong in having what you need before you need it. Waiting the day before you’ve got the green light can make your endeavor all the more stressful, especially if what you need isn’t readily available at the flick of a switch. Don’t let that voice in your head dissuade you from traveling at your best and having everything you need, your future self will be thanking your past self when the time comes. Remember that you’re human. Driving long-distance can be tiring for anyone, so take the appropriate steps to remain well-rested while traveling. Ensure your mind is clear and ready to take on any adversities that come your way. It’s easy to see how far you’ve gone and consider knocking out the rest of those miles, but that can also drive your fatigue further until driving no longer becomes a safe option. Letting yourself get burnt out not only makes the environment unsafe for you, but for those around you. Rest if you feel tired, use what stops you can to rejuvenate yourself for the road ahead. Although in the recent years people have been more attentive to avoiding distractions, (Phones, eating, etc…) we should still be on the lookout for when our mind is wandering from the task at-hand. Distracted driving can lead to fatal mistakes and should be avoided at all costs. If there’s something you need to attend to, do so in a safe location with the car parked. In the case that others may not be following this rule, you’ll be in a much better position to avoid possible mistakes from other drivers. Save yourself and others from any split-second accidents that could jeopardize the future by going the extra-mile. It’s amazing to be prepared, well-rested and attentive; but it’s also tremendous to remember that by doing the above, you’ll have a great head start for your trip. Like we mentioned, things can get confusing, but keeping a steady mind will make your experience one to remember. Taking in the sights on a long journey can be great and feeling the accomplishment in the end can be even greater. Dodge insecurity and overthinking, be analytical but don’t assume the worst. Avoiding this will help guide along every other strategies we brought up and create relaxation with the knowledge that you’re going to do great. Doing research (like reading this) is one of the best ways to prepare. If you’re looking for more, absolutely look into staying hydrated, good snacks for travel and rental fees, (underage car rental fees, mileage, etc.) It’s our hope that after reading through some of our own tricks that some, if not all of your worries are put at ease. Good luck on your travels, you’re going to do great!